Garden incinerators & Fire Pits are currently offering the acclaimed Gardeners Choice Ornate Fire Pit at a great price. 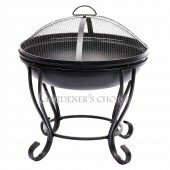 Don't pass it over - purchase the Gardeners Choice Ornate Fire Pit online today! 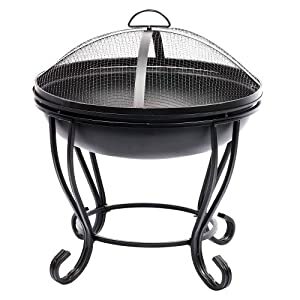 An attractive steel fire pit with four ornate black steel legs for stability. This fire pit makes an excellent, multipurpose choice for gardens of all sizes. 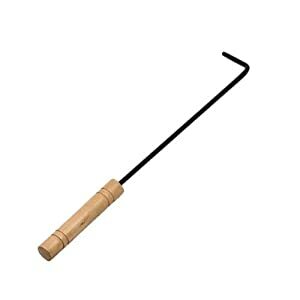 Can be used with wood and charcoal fuels outdoors only. It is worth noting that all metal fire pits will rust and to prevent substantial rust, we recommend using a fire bowl cover. Rust, although it does not affect use, is unsightly but can be painted over if it does occur. This fire pit will become hot during use and therefore we recommend the chiminea guard to prevent injury during use.